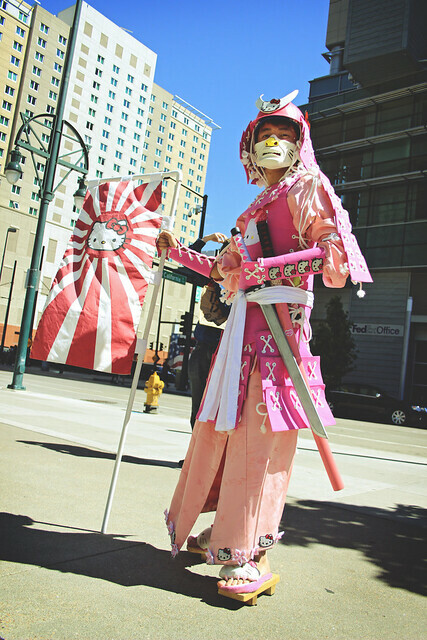 There were tons and tons and tons of Cosplayers at Denver Comic Con. 2014 may have officially set the bar on quality COSPLAY. The sheer quantity of amazing costumes was out of this world. Here are some of the awesome ones that caught my eye. Frankly it alone was the price of admission. If you were at Denver Comic Con and want me to share your pictures just comment below. Also feel free to share your stories from Cosplaying, how made your Cosplay, how it was at the Con, did people treat you well etc. I am not sure how this guy even walked around but he did. It looks like he used some form of Stilts. I actually liked this Galactus more than the crappy cloud thing Fox used in the movie Fantastic 4 Rise of the Silver Surfer. I can't find a picture of this costume but hopefully someone has pictures. This was the most complete real looking Big Daddy I have ever seen. The Little Sister was also perfect. There was an awesome Mr Freeze that I also need to find a picture of. UPDATE: Thank you Thomas Burgett for these awesome pictures!!! Look at how phenomenal this is. It is a flat out amazing COSPLAY Costume. Thomas feel free to share any comments about making it or your experience at Denver Comic Con. I am sure everyone would love to know more about your experience as Mr Freeze. More Thomas Burgett Freeze Pictures! Jon Snow/ Daeneries/ Kal Drogo I saw them all here and need to find pictures. This pair of Cosplayers had an awesome Star War Bounty Hunter themed costume. They somehow managed to get around because I saw them multiple times but each time they were surrounded by a crowd taking their picture. Gargoyles Creator Weisman was at the Con so it is fitting that there is also a Goliath there. Goliath and Elisa costumes were spot on. Laura who is Elisa gave the link below to check out more pictures of their awesome COSPLAY! 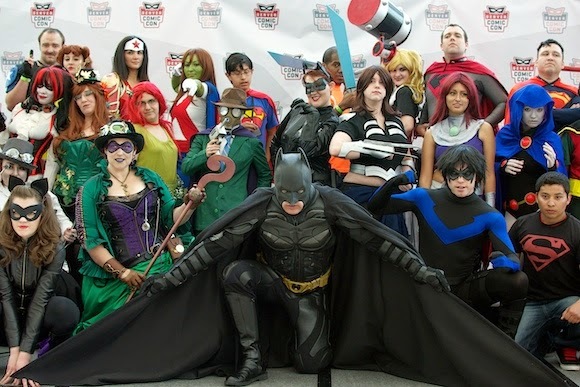 What really made this COSPLAY choice even more awesome was the fact that the Gargoyle team was having a reunion at Denver Comic Con and their creator Weisman was on hand. It made me very happy that the Gargoyle got some COSPLAY love. It was a great cartoon right up there with Batman the animated series in the 90s cartoons. While its quality was as high as Batman it gets extra points for being a purely original series, which is very rare! I met Greg Weisman (Creator of Gargoyles) briefly to get an Amazing Spiderman he wrote signed. Greg was very nice and down to earth guy. Hopefully, the Gargoyle Cosplayers had an even better experience. Laura feel free to share any stories you have, I am very interested. There were a lot of Dr Who themed costumes. I saw a variety of just about everything including a Tardis. 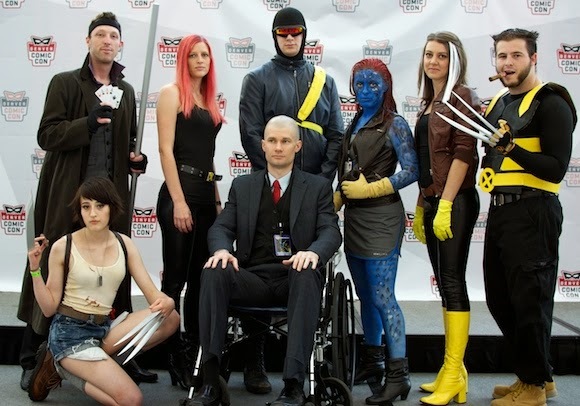 There were a lot of Great X-Men based Cosplays. Below we have a whole X Team. I noticed a lot more X-23 Cosplays this year and all of them were awesome! That character seems to be catching on with girls which is sweet because she is a great character. There were quite a few. One that sticks out is a group of red shirt Zombies that was pretty funny. Also a Trek version of Hulk. The 501 legion is just full on amazing. They are group that dresses up as Starwars characters and also does things like build droids. That whole area was pretty amazing they had props and back drops and fully functioning R2 D2s. I will try to dig out some pictures so I can do that whole group justice. My daughter just reminded me of these. I saw three great Hellboys, one was a man, one was a little boy and one was a girl. All three rocked! I need to find pictures of these as well. 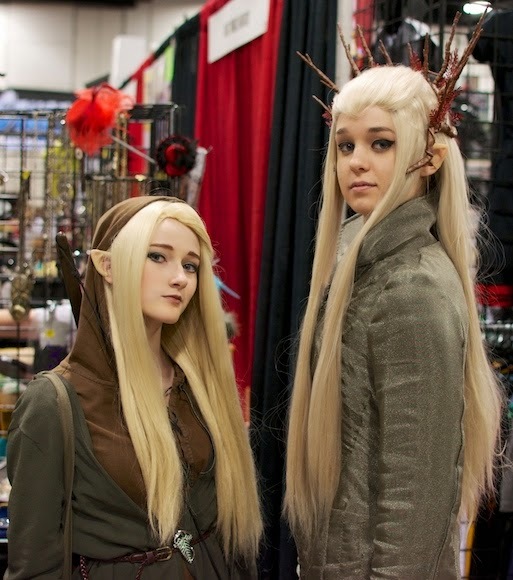 Another awesome couple Cosplay that I need to find pictures of. There were a couple great Ironman and Warmachine COSPLAYS. One had full on electronic lights and everything. I need to find pictures of them. I am not sure if they are the same group that came last year or different. Others...Some of these may be from 2013 I will try to update with 14 as find pictures.